Ben focuses his practice on building, managing, and protecting domestic and foreign trademark portfolios and prides himself in providing practical and cost-effective advice. He has in depth experience in global trademark clearance, prosecution, and enforcement and regularly advises clients on selection and protection of worldwide brands, trademarks, domain names, and other promotional activities. Ben also has substantial experience in all varieties of domestic and international trademark and copyright litigation, including opposition, cancellation, and federal litigation proceedings. He has successfully appeared before numerous administrative agencies including the United States Patent and Trademark Office’s Trademark Trial and Appeal Board and the World Intellectual Property Organization, and developed expertise in practicing before these agencies. 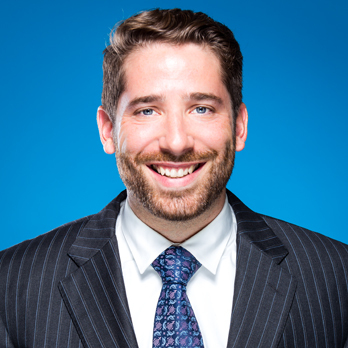 Before IPLA, Ben clerked for two federal judges which provided him with a unique perspective on litigation which he translates into efficient and effective representation of his clients. When Ben is not working, he enjoys reading, learning languages (Hebrew and Thai are next on the list), playing basketball, and exploring with his wife and their dogs.